An event yesterday served to demonstrate why political parties must have strong policies which reinforce their values. I am speaking, of course, of the decision made by the Newcastle Greens to actively protest against the closure of institutions. The NSW Nurses and Midwives Association, together with the Newcastle Greens, held and promoted an event protesting against the closure of Stockton Centre, an institution where over 400 people with disability have been locked away for, in some cases, a lifetime. The NSW Government has failed to carry out its commitment to close this and other institutions by 2010, but have now recommitted to closing all large congregate facilities by 2017. Devolution of institutions is not an issue that should be confused with the issues around privatisation, nor is it directly related to the NDIS. The forum that was held deliberately blurred the issues and was held as a result of lobbying by the nurses’ union, who are concerned about job losses and parents, who are afraid of change, especially in the absence of good housing and support options for their children. But research has shown time and time again (most recently by the NSW Ombudsman) that institutional models restrict the rights and opportunities of the people with disabilities who live there. The Newcastle Greens made several comments this week on social media reinforcing why they believed the Stockton Centre should stay open. When disability and human rights advocates protested, they censored the views of those people. I believe this directly contradicts the Greens’ stated position that they support inclusion. The Greens cannot object to locking up asylum seekers at Manus Island and then advocate for locking up people with disability on Australian soil. I understand that the Newcastle Greens are listening to the unions and the parents. What I would like to know is – who is listening to people with disability? Would the Greens listen to the voice of the people smugglers and G4 or Serco, who will almost certainly be out of work if offshore processing is shut down, rather than the voices of those who are or have been trapped inside for a lifetime? Kim Walker, who grew up in a number of institutions, including Stockton, passionately wanted all institutions closed so that all people with intellectual disability can live full lives in the community. She is survived by her sister Lorraine, who remained locked away at another state-run institution, Rydalmere, until 2002. “It took me a while to settle into living at Stockton. Some of the staff there were good and others not. The staff who were nice and tried to make life better for us got into trouble for it. Other staff treated me like I didn’t exist and I was not important…when you got upset, the staff would tie you to a chair that had leather straps for your legs, arms and body. They laid the chair on its back so that you would not fall forward if you rocked it. You might be left like this for a couple of hours…this only happened to me once, they said it was so I learned to behave. They also used straitjackets on kids and gave kids needles to calm them down. Luckily, this never happened to me. There was also a time-out room, a small room with nothing in it. I used to go in there and try and calm people down. They would often drug the kids who were sent there. Some would have to stay in there all day…sometimes people would get violent because they were so unhappy. I was hit by other people and almost had my eyes gouged out once. I learned very fast how to keep out of trouble. Thousands of Australians like Kim and Lorraine have their human rights denied every day when they are required to live in segregated or congregated care in order to access the support they need. This contravenes the UN Convention on the Rights of Persons with Disabilities, which Australia has ratified. 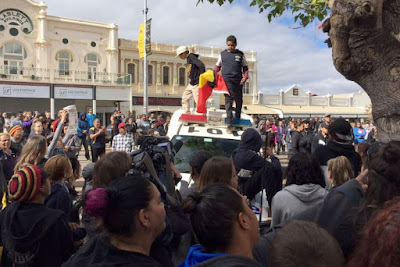 It also contravenes the Australian and State Governments' stated commitment to closing institutions. I call upon the Greens to talk to people with disability like Kim. 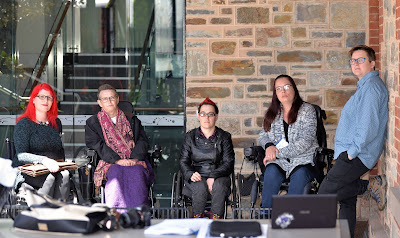 I call upon them to talk to disabled person’s organisations like People with Disability Australia to inform development of a policy that aligns with the Convention and which specifically precludes the supporting of disability apartheid, practices which segregate and isolate people with disability from the rest of the community. 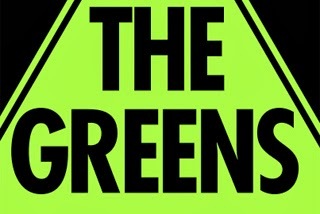 The Greens have a reputation as being the ‘party that is powered from the bottom-up’ and for standing up for what is right, not just what is easy or what polls well. Please make sure that you stand up for Australians with disability.